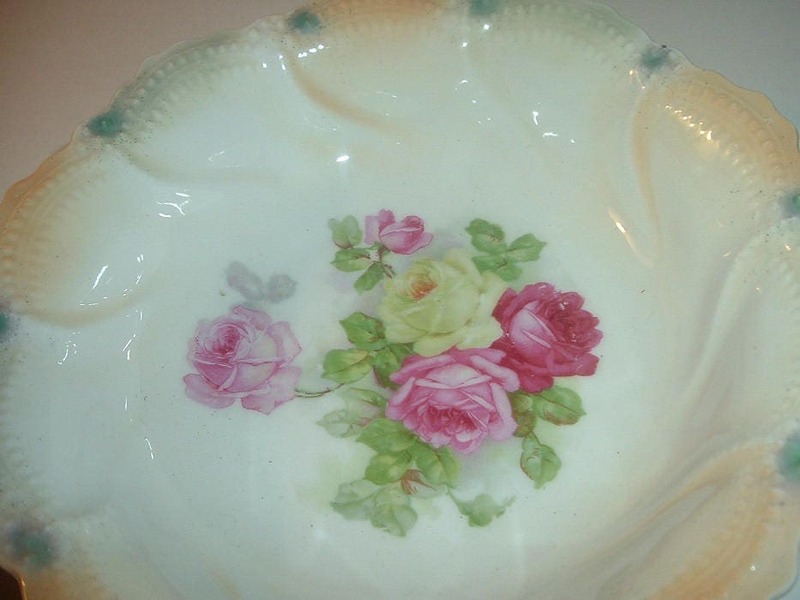 This Thuringia porcelain bowl measures approx. 8 3/8" across. 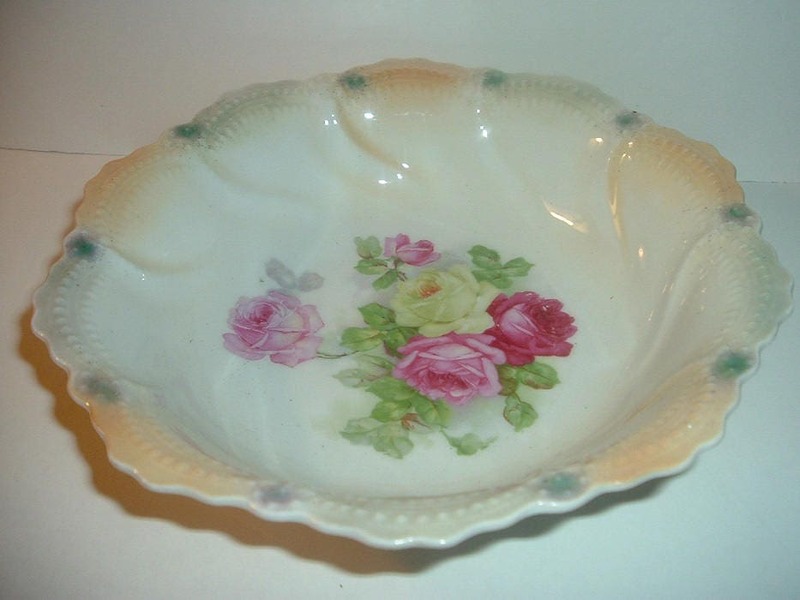 It is done in a lightweight porcelain with roses in the center bottom. 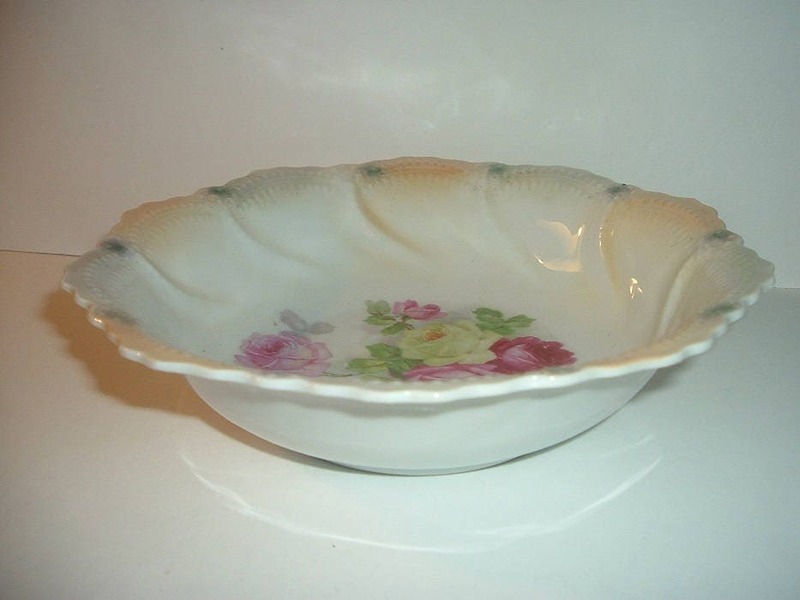 It is a nice, petite size, and is in good shape with no chips, no cracks, and no wear or scratching. 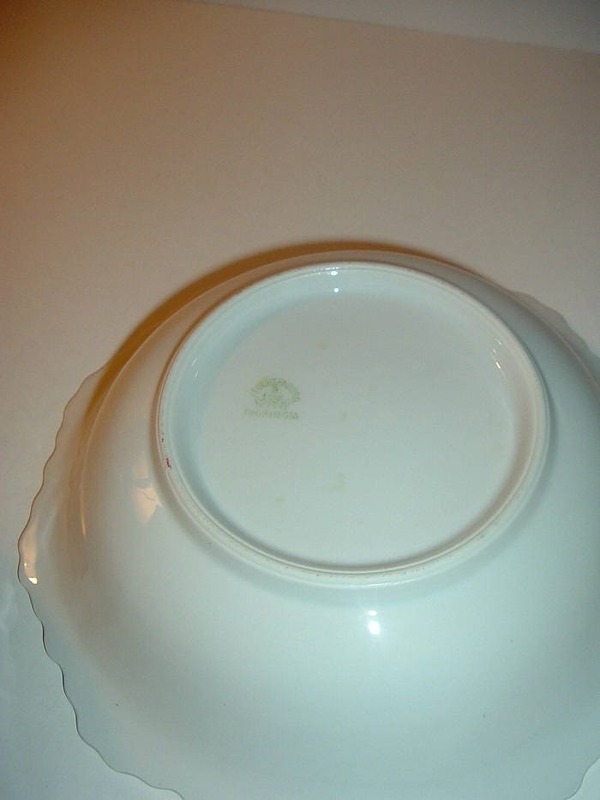 I can't make out the exact maker in the mark on the bottom, but I can see the Thuringia part of the mark. Nice. I gladly combine shipping.